I thought the days of diapers and baby food were expensive. And then I had teenagers. Clubs and clothes. Food and phones. It's all so pricey! With kids involved in multiple after-school activities like cross country and drama, I've found that I need my kids to have access to a phone. Yes, I was the mom who put off getting her kids their pwn cell phones for as long as I could. But in today's world, it seems that cell phones are no longer a luxury – they're a necessity. 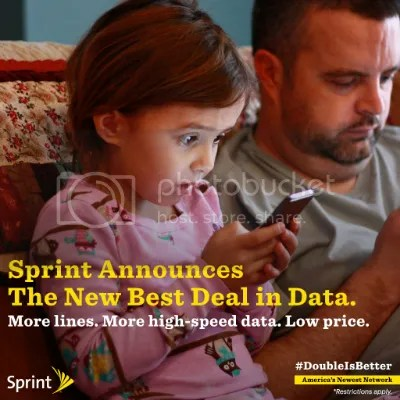 Finding the right family cell phone plan is a top priority for us, and I'm excited to announce the Sprint Family Share Pack – a new shared-data plan that offers double the high-speed data at a lower price than the other popular carriers. It's a $60 per month savings *with more data* compared to the other folks! It's the best deal in data! 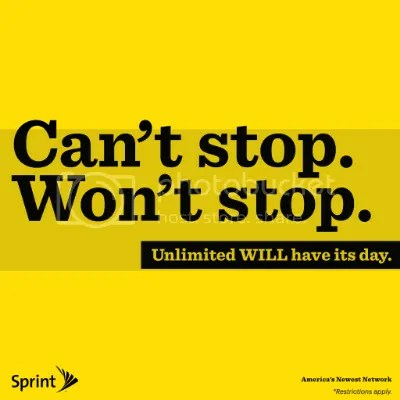 • If you bring your current number(s) and activate on the Sprint Family Share Pack, Sprint will buy out your old contracts with a Visa Prepaid Card worth up to $350. No more worries about early termination charges. More lines. More high-speed data. Low price. We've got 6 phones in our household, and I've been feeling lately like we're paying too much, but I have hesitated to look into new plans because I knew there would be a hefty early termination charge if we were to move to another carrier. So I've stayed where I am, like many other cell phone owners, I'm sure, stuck with what is probably a pricey plan. How many phone lines do you have in your family? How could you benefit from the Sprint Family Share Pack? I have never used sprint before. In our home we just have 2 phones but I have 2 children outside of the home and if we combined the 4 lines then this would be a great deal. I have had a lot of bad experiences with Sprint, this looks interesting though!